Serenity on Wakeman, bed & breakfast and wedding venue. Beautiful, spell-binding and stylish. These are words easily used by guests and visitors to this treasure with expansive views of New Zealand’s largest and most picturesque lake, Lake Taupo. Step insideSerenity on Wakeman and meet your host Robyn who will make you feel truly welcome. She has thought of everything, with luxurious robes, slippers and all the amenities for your stay. The beautiful lush garden is perfect for enjoying a chilled glass of wine and an easy wind-down. Serenity on Wakeman is highly recommended bed and breakfast to anyone looking for a peaceful retreat, bed and breakfast, for example, bride and bridesmaid’s accommodation prior to a wedding, or for honeymooner accommodation. And just for good measure, Serenity on Wakeman is close to the lakeside and plenty of local amenities to choose from. 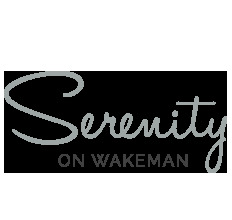 You are most welcome at Serenity on Wakeman. Original generation time 1.0782 seconds.